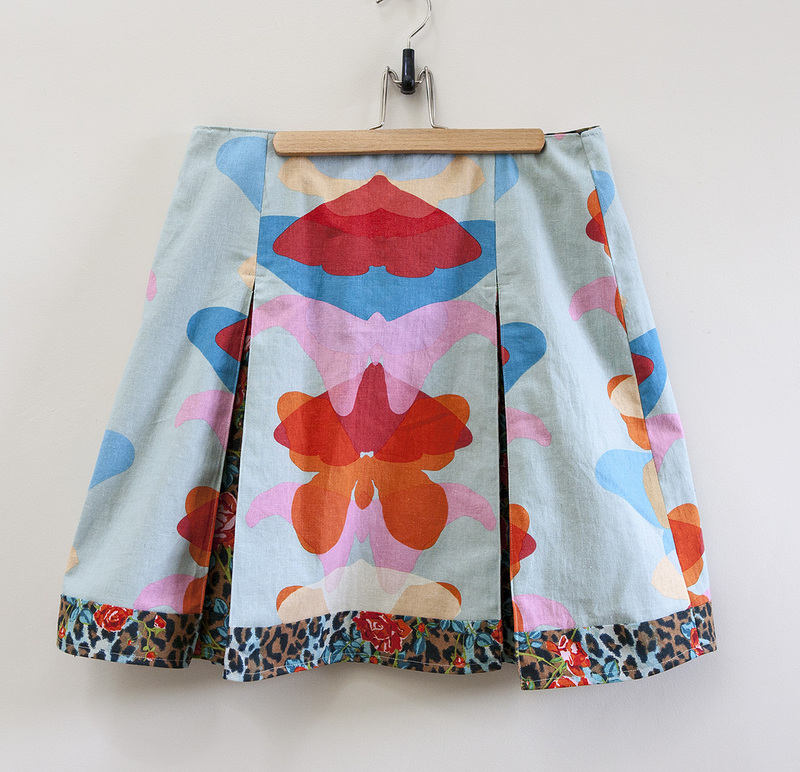 My second piece of Summer wardrobe is the 'Study Hall Skirt' by Anna-Maria Horner. 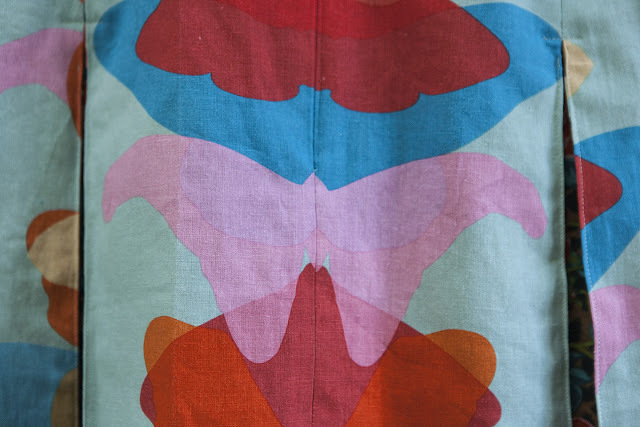 I have had the pattern for a long time now but never really found the right fabric combination to match its fabulousness. 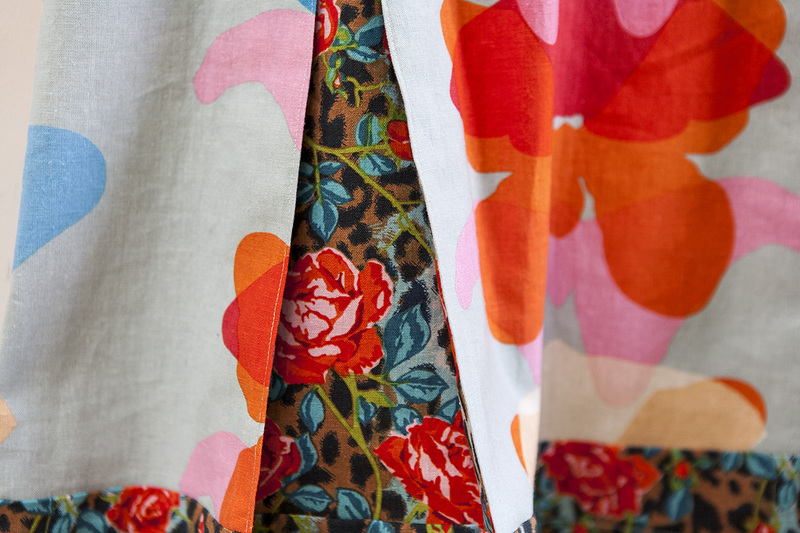 That was until the 'Field Study' collection came out with it's cotton/linen mix that is slightly heavier than quilting cotton and is ideal for this type of skirt. The pleats sit better with a stiffer fabric. 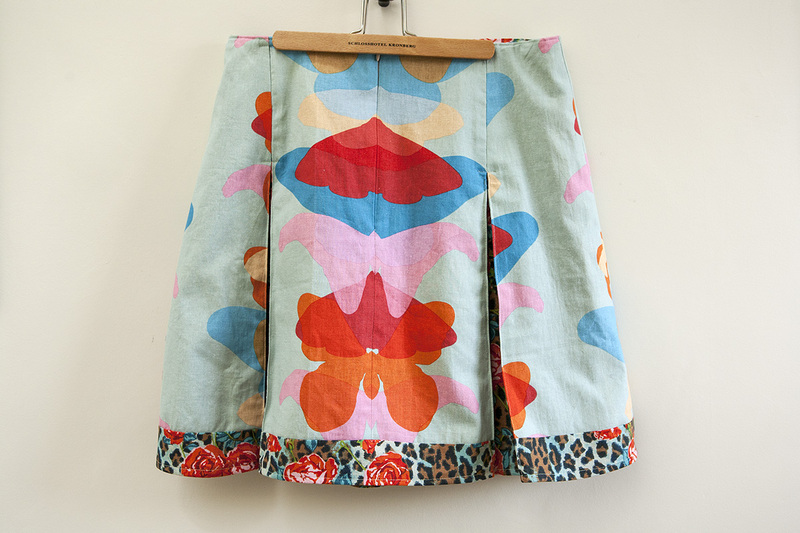 For this skirt I used the 'Ghost Wing in Aqua' and 'Domestic Cat in Aqua' fabric. I had plenty of fabric and spend a lot of time cutting to make sure I had the best parts of the fabric. The back of the skirt has some pretty accurate pattern matching going on (you hear how proud I am ?) and I made sure that all inset pleats had a row of roses in the middle. These become visible during movement and are a really nice feature. This skirt is not thrown together in 90 minutes but even though it is a lot of work, it really was very enjoyable to sew together and I can't wait to make the next one. The skirt came together much easier than I thought and the pattern is explained well. The only thing I was unsure about right from the beginning was if the seam allowance was included and after some help from friends on Instagram I was assured that it was. There are just a few things I made differently from the original pattern. While researching the skirt on the Internet I came across this blogpost by 'Resore your House'. The Lady lined the skirt which is something I really missed on the pattern. There are very few skirts that sit well without lining (for example a denim skirt) but most would ride up without it and if you spend a lot of time and money creating something then I think it deserves to look at its best. I also top-stitched the pleats but not all the way as she did. I so love how this skirt turned out and have been wearing it all summer gathering many compliments on the way. This is very much me as I not only love colour in my quilts but am also not afraid of wearing it. Pattern matching is important. Hubby hates to see pants where the patterns don't match at the seams.